The “Holton Collection” is designed as your classic centerpiece for your bathroom. The perfect blend of classic styling and the ease of a more contemporary piece. Made with only the best selection of massif oak this is truly a masterpiece to ensure your bathroom has that timeless luxurious finish. The Vanity is 100% made out of Massif Oak. 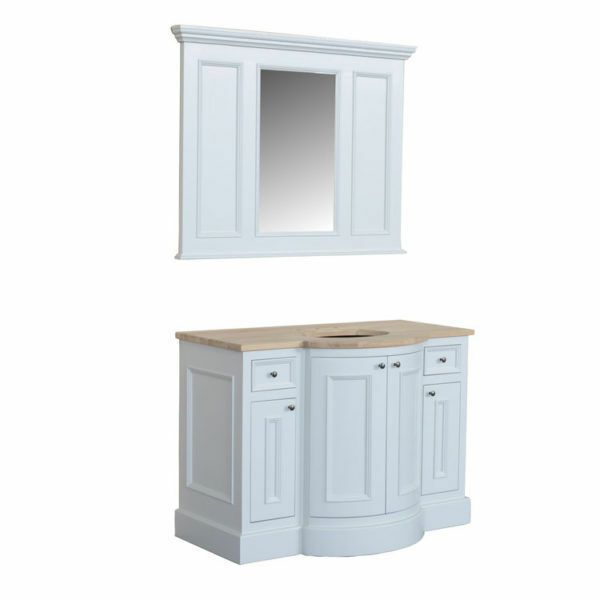 Standard with natural oak top, also available Carrara marbre top. The exterior is avaible in natural oak or in a wide variety of colours. Interior is made out of oiled oak. Round 360mm vanity or oval 500mm vanity. Available with 1 or 3 tapholes.